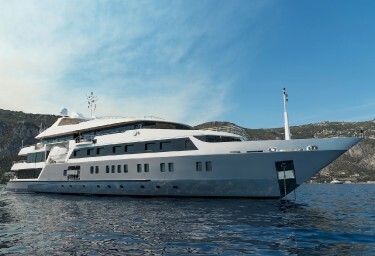 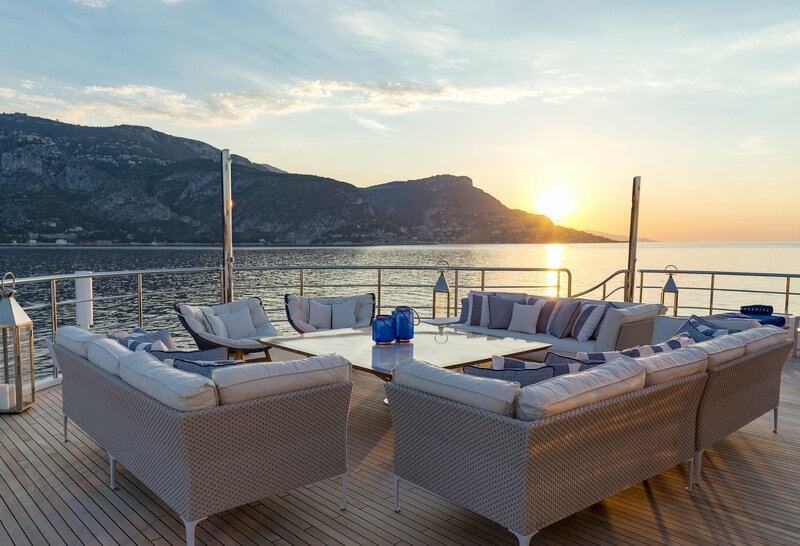 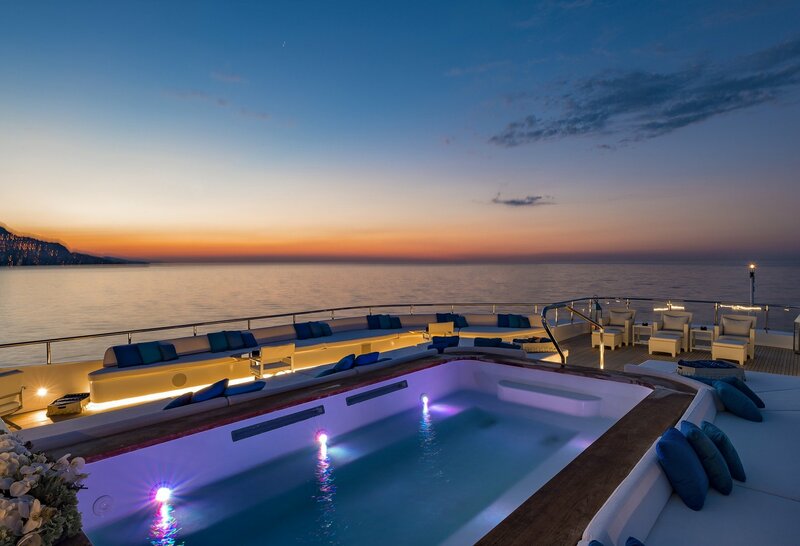 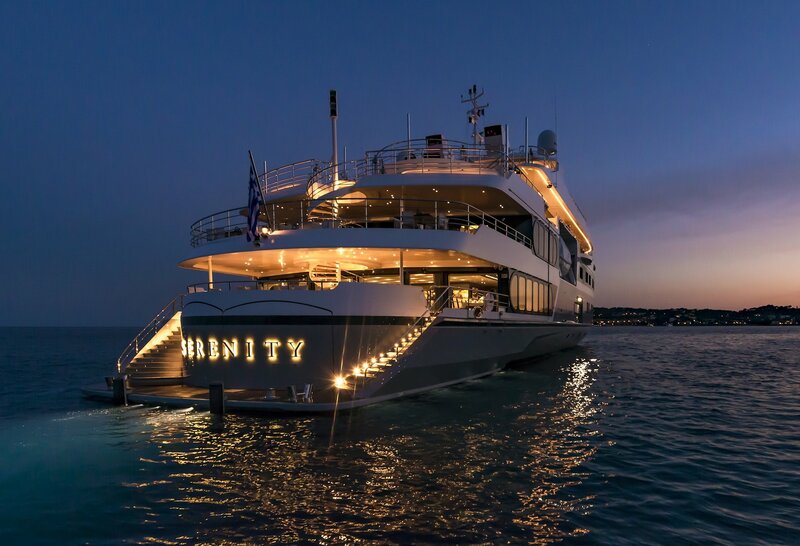 With a massive 30-guest capacity and all the luxurious features of an ultra-modern charter yacht, SERENITY is 236ft (72m) of opulence and indulgence available for luxury charter in the Mediterranean, including the Balearics and Croatia, and in the Arabian Gulf. 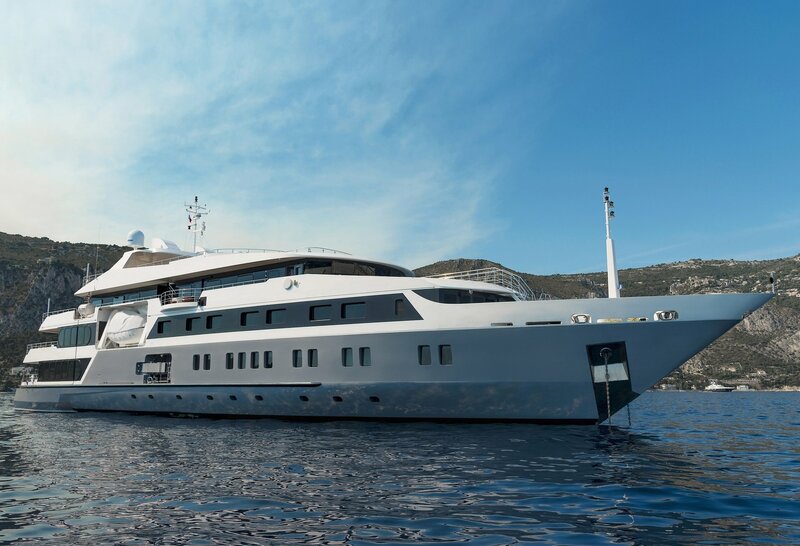 More a mini-cruise ship than a motor yacht, SERENITY (ex-TU MOANA) is a classic custom-megayacht from the renowned Austal Ships yard in Australia and underwent a major refit to 5-star splendour in 2017. 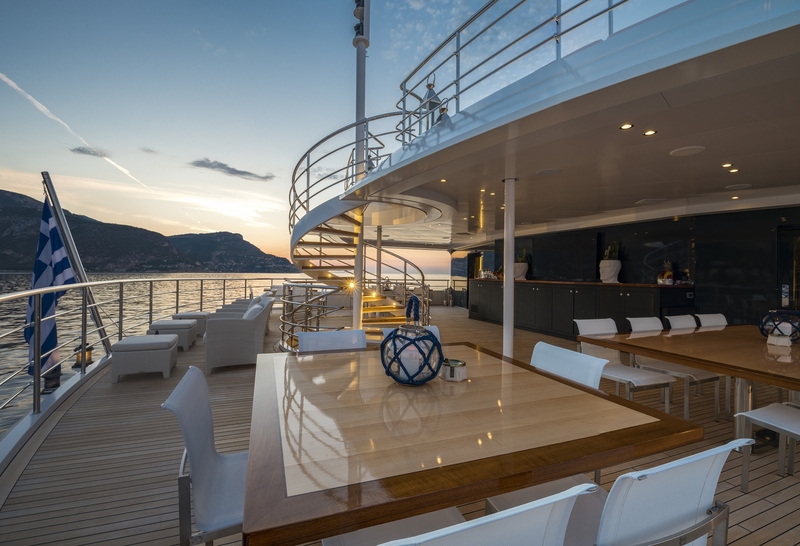 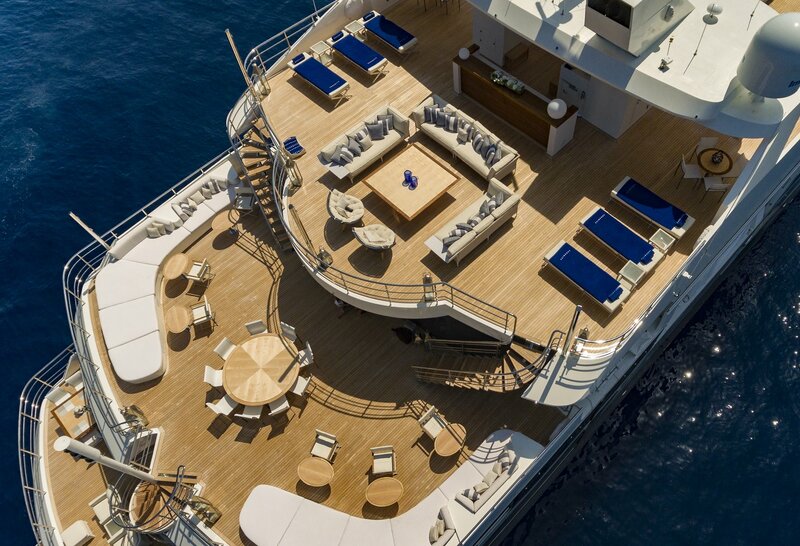 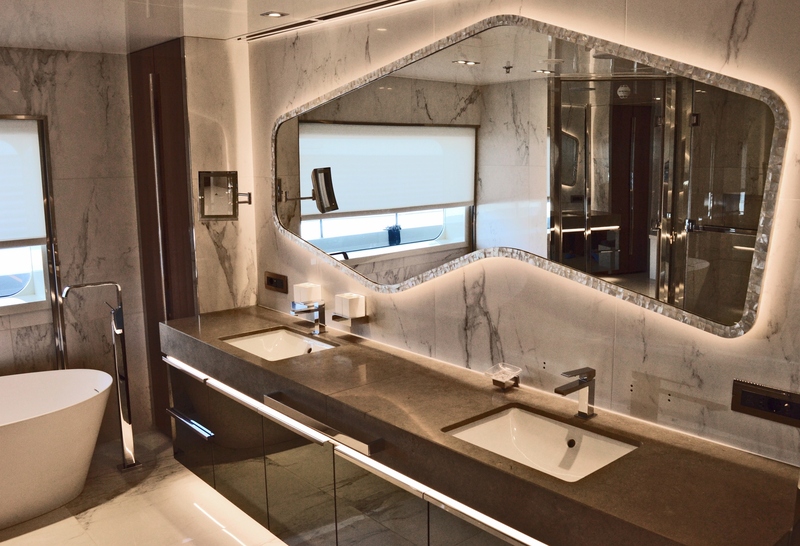 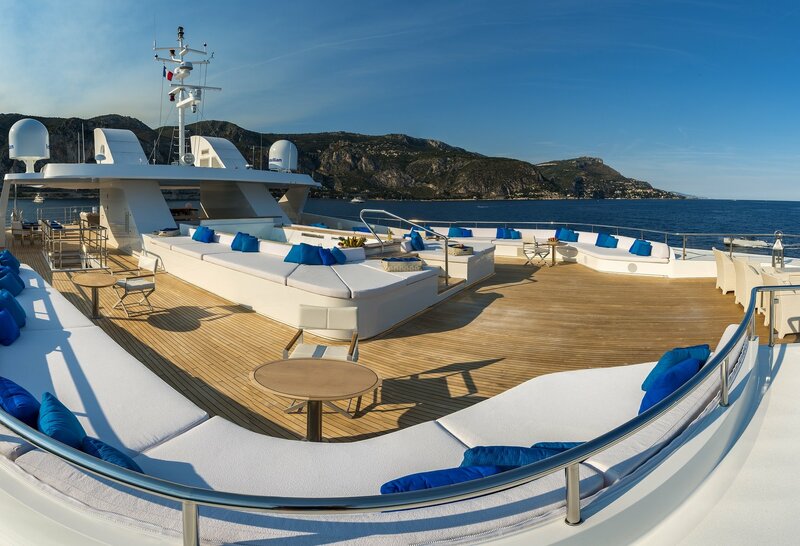 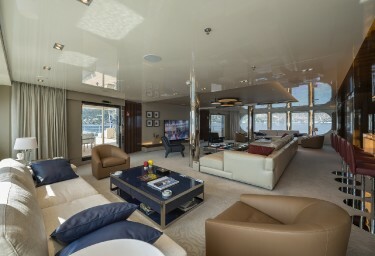 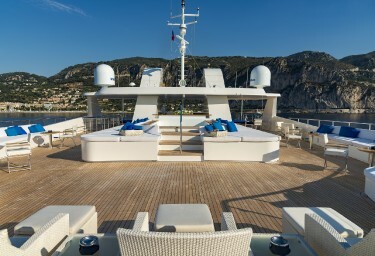 SERENITY boasts four decks devoted to her guests’ enjoyment, linked by a magnificent staircase. 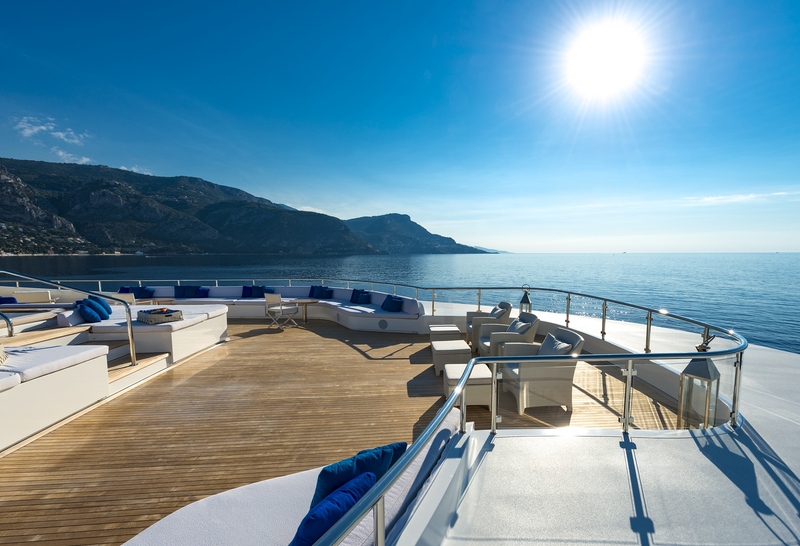 The sundeck is the perfect space for sunbathing, socialising and swimming, with a pleasant pool, sunpads, lounges, dining setting and panoramic views from every vantage point. 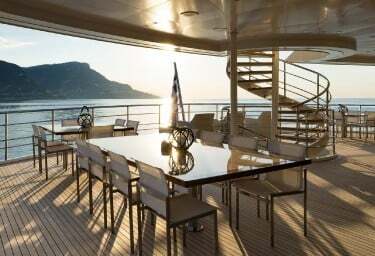 On the upper deck, the aft dining space is fantastic for alfresco dining, while the main deck provides undercover dining and seating for all guests in complete comfort, and the lower deck, with dual staircases to the swim platform, is set up for casual meals, entertaining and savouring the views with settees, lounge chairs and coffee tables. 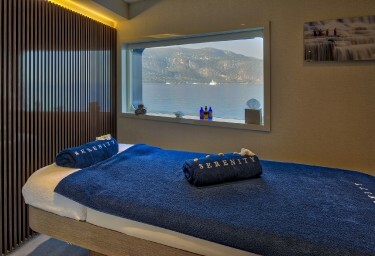 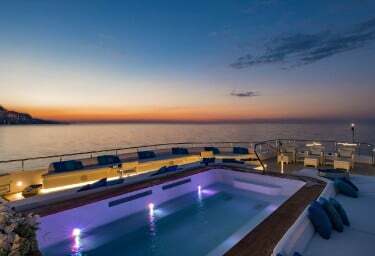 Guests onboard SERENITY have plenty of choice for spaces to entertain, dine, socialise and relax. 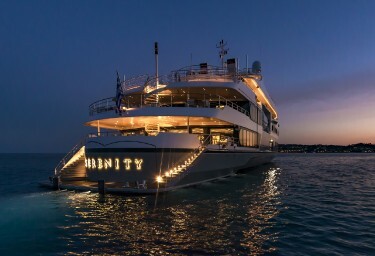 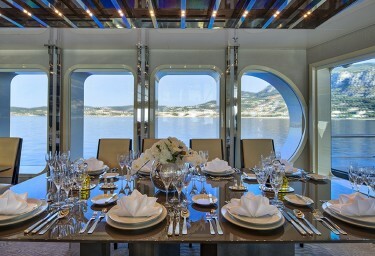 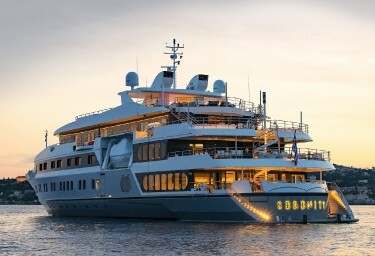 In fact, for quayside events SERENITY has enough room onboard for 100 guests. On each level there is a saloon/lounge/bar option, depending on the occasion and number of guests. 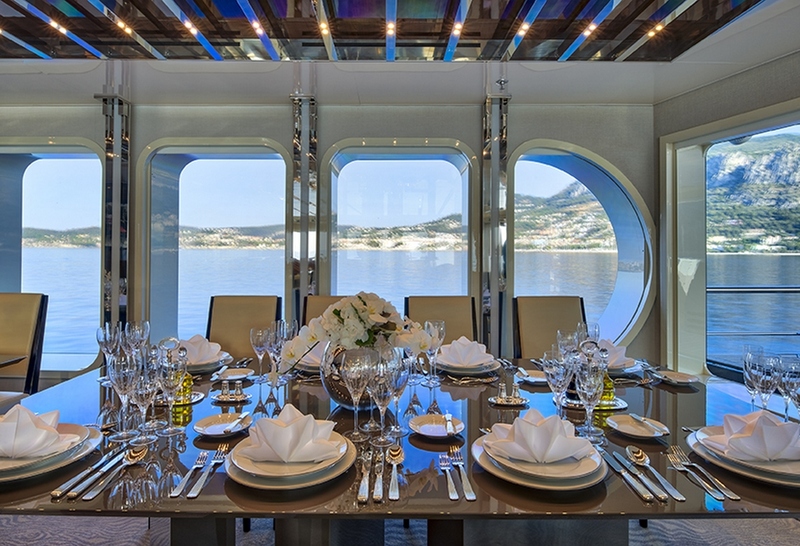 On the main deck is a full beam formal dining area, adjacent to the extravagant back-lit onyx bar and surrounded by vibrant paintings, makes every occasion special. 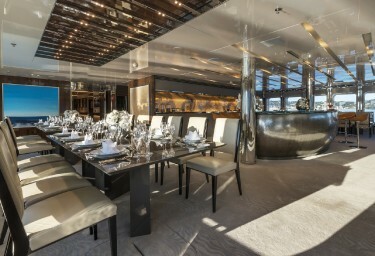 The upper deck has a large saloon lounge with plush leather seating, full entertainment systems, bar and large windows on either side, as well as sliding glass doors to the upper aft deck. The bridge deck aft is adjacent to the master stateroom and features private alfresco dining and social seating areas. 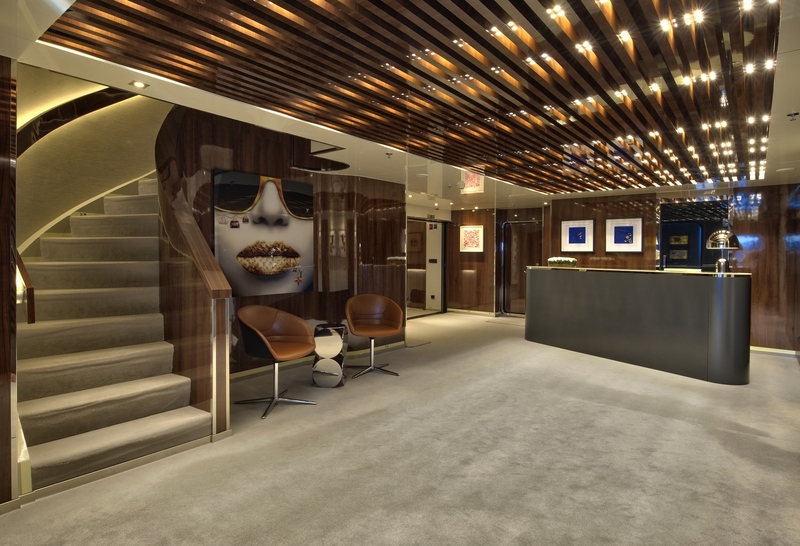 SERENITY’S interior design by AskDeco is an ultra-modern fusion of classic lines and contemporary décor, including fascinating original artwork and photography, a masterful interplay of textures, timbers, lighting and materials. 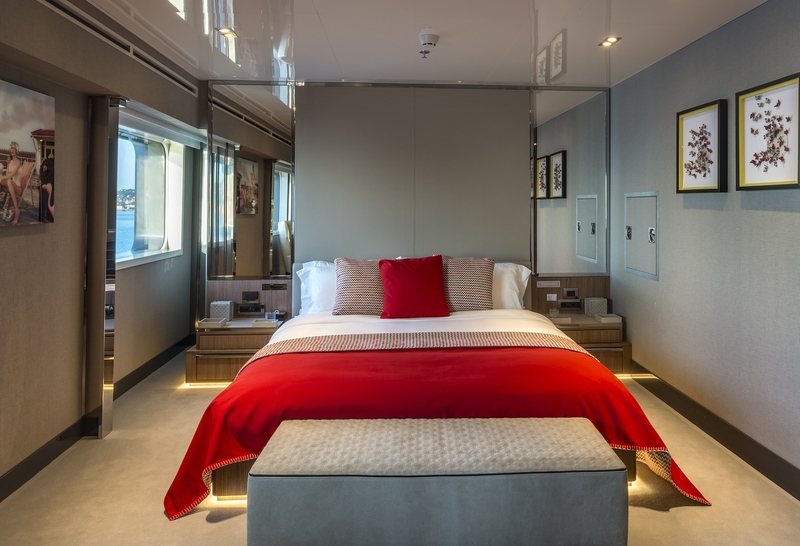 Her Art Deco-style windows are highlighted by curved-edge furnishings, leather and linen lounges, stainless steel accents, marble, onyx and lots of glass. 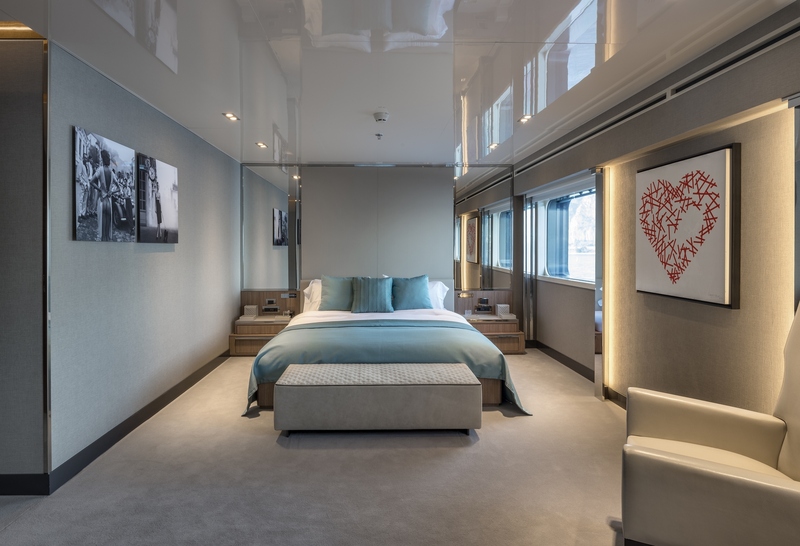 True to her name, SERENITY, a soothing palette of beige and white is complemented by pops of lustrous gem tones in the soft furnishings and artwork. 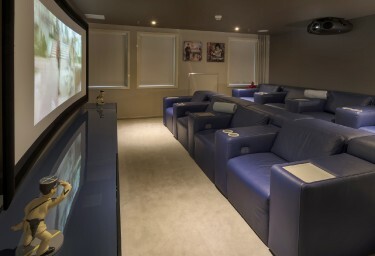 There is a well-equipped gym, massage room and spa, hair salon and cinema, plus an impressive cache of watertoys in her spacious garage. SERENITY sleeps up to 30 guests in 15 lavish suites, including a spacious master suite on the bridge deck with large balcony and full-height windows, massive ensuite with bath, walk-in robe and large study. 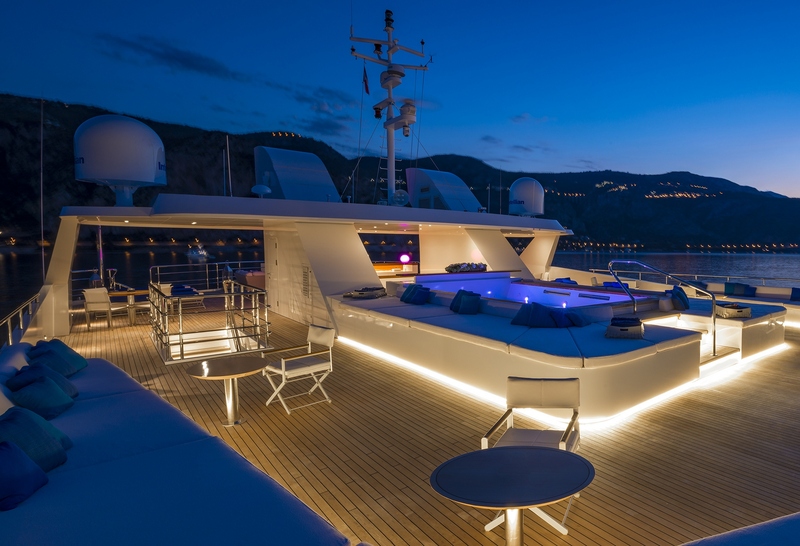 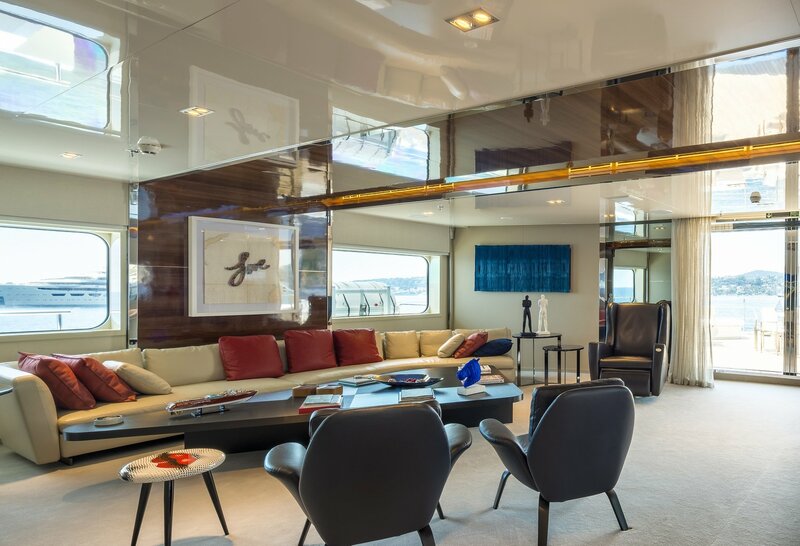 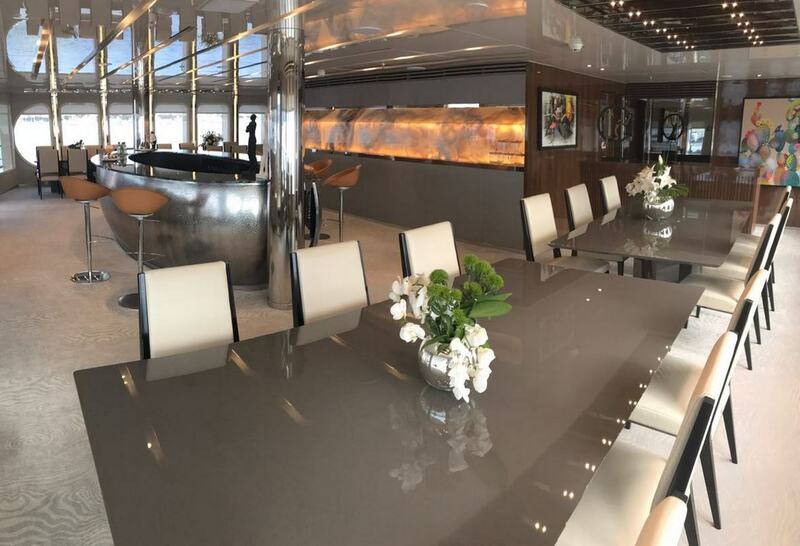 The bridge deck aft section offers a private lounge, with seating, games table and bar. 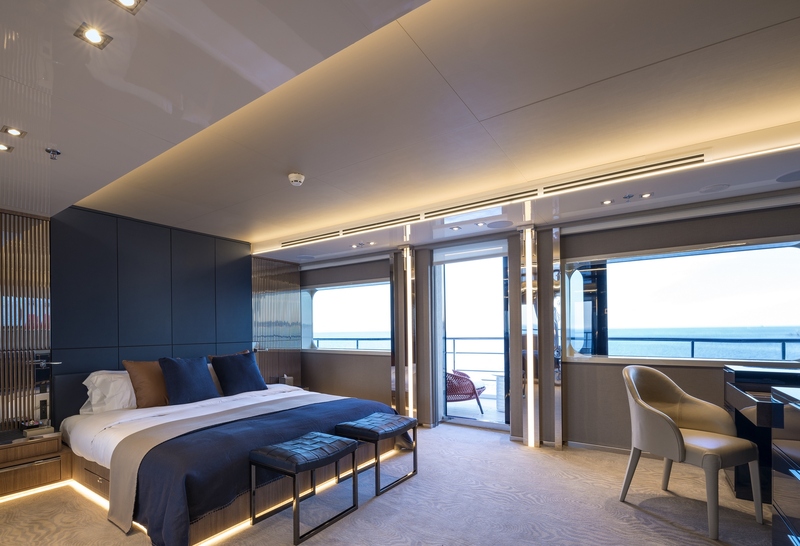 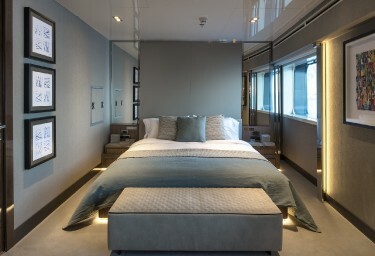 Then there are six VIP staterooms, five double cabins, two twin cabins and two pullman beds, all beautifully decorated in tranquil colour schemes and all with the latest AV and communications systems installed. 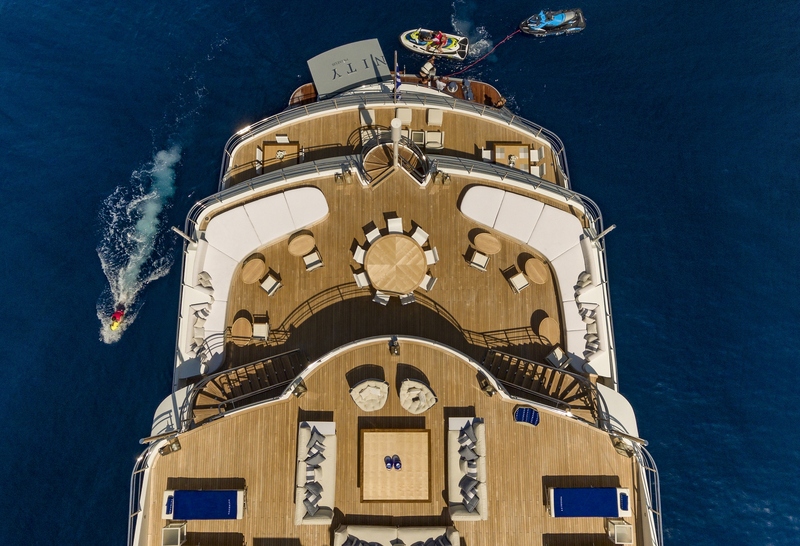 Fulfilling her owner’s brief of a charter yacht equipped for non-stop fun, SERENITY is blessed with a vast range of high-tech gadgets for exploring and enjoying the water. 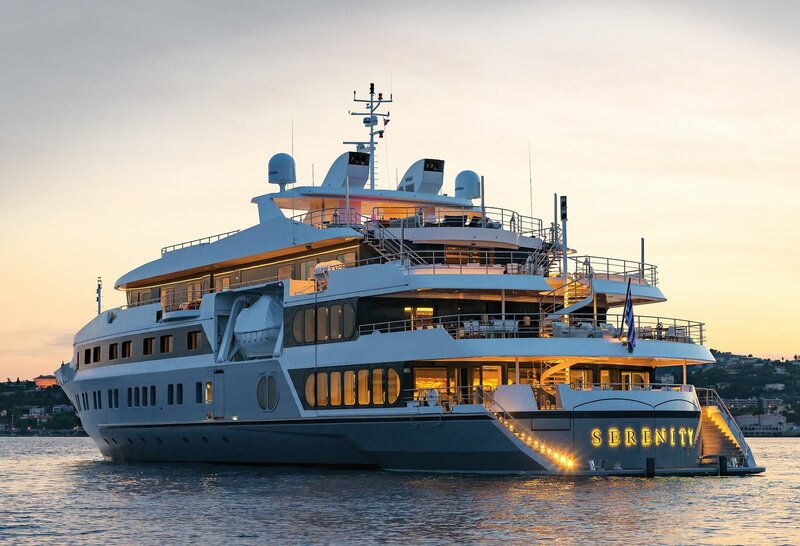 There are two large, low profile Lomousine tenders for arriving onshore in consummate style, a RIB tender for towing, two SeaDoo jetskis, two Seabobs, Flyboard, four SUPS, Scuba gear for two, waterskis, wakeboards, tubes, kneeboard, kayak, windsurfer, inflatable towable toys, snorkelling equipment and fishing gear. 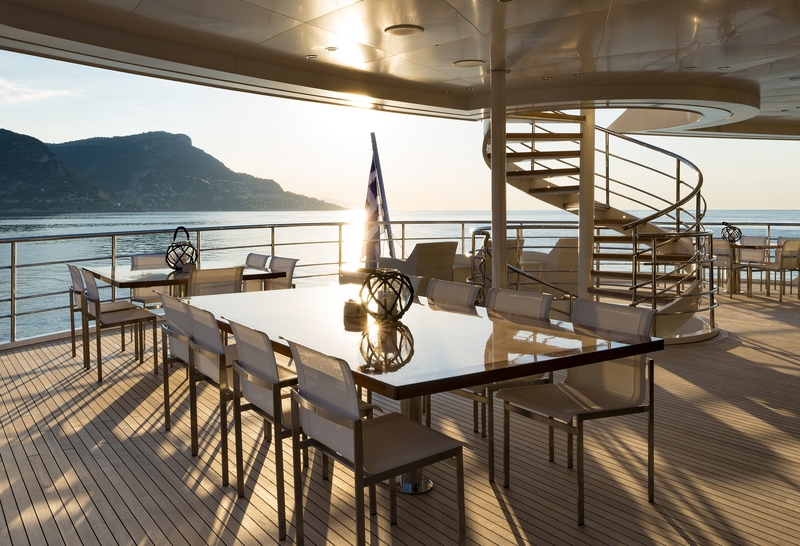 Her experienced and knowledgeable Captain directs a professional crew of 30, meaning guests are treated to the pinnacle of service, with personalised itineraries, activities and menus that will quite literally infuse your charter vacation with the ultimate SERENITY. 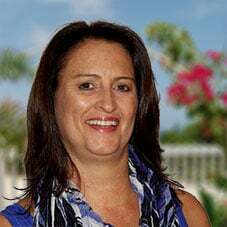 Page Loaded in 0.99 seconds from "US"